Delve into the divine with the dramatic lines of the YIGAL AZROU&amp#203L Black Scuba Off the Shoulder Dress. Fitted silhouette. Off the shoulder. Short sleeves. Pull on construction. Straight hemline. 64 percent viscose, 36 percent polyamide. Professional dry clean only. Made in the U.S.A. and Imported. This item may ship with an attached security tag. Merchandise returned without the original security tag attached or a damaged tag may not qualify for a refund. Measurements: Length: 35 in Product measurements were taken using size 2. Please note that measurements may vary by size. Black need never be basic when you drape yourself in the YIGAL AZROU&amp#203L Matte Jersey Off Shoulder Long Sleeve Top. 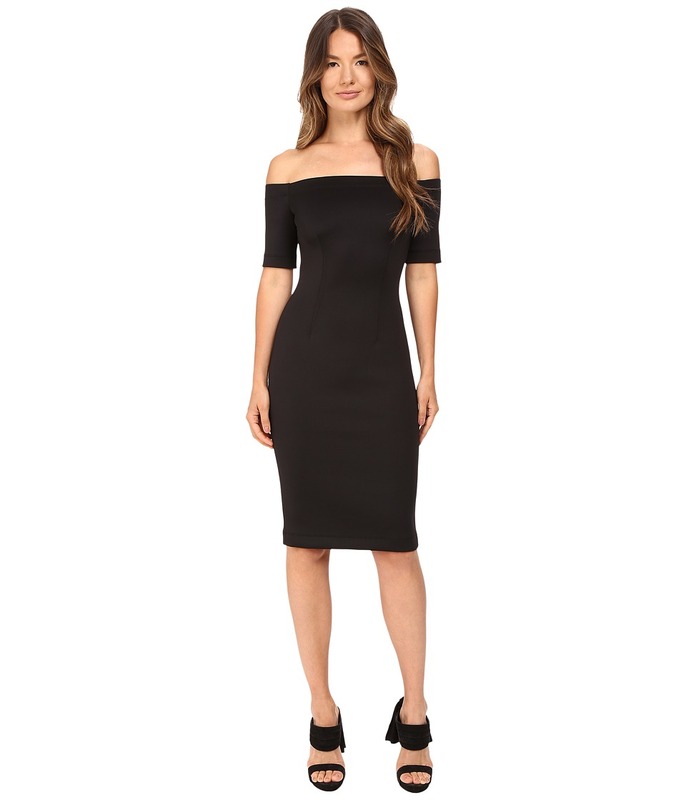 Off the shoulder neckline. Long sleeves. Pull on construction. Straight hem. 93 percent viscose, 7 percent elastane. Professional dry clean only. Made in the U.S.A. and Imported. This item may ship with an attached security tag. Merchandise returned without the original security tag attached or a damaged tag may not qualify for a refund. Measurements: Length: 21 in Product measurements were taken using size 2. Please note that measurements may vary by size. Basic gets sleekly redefined in the YIGAL AZROU&amp#203L Scuba Skirt. Midi silhouette. Concealed center back zip. Straight hem. Rear vent. 94 percent polyester, 6 percent spandex. Professional dry clean only. Made in the U.S.A. and Imported. This item may ship with an attached security tag. Merchandise returned without the original security tag attached or a damaged tag may not qualify for a refund. Measurements: Skirt Length: 24 in Waist Measurement: 26 in Product measurements were taken using size 2. Please note that measurements may vary by size. 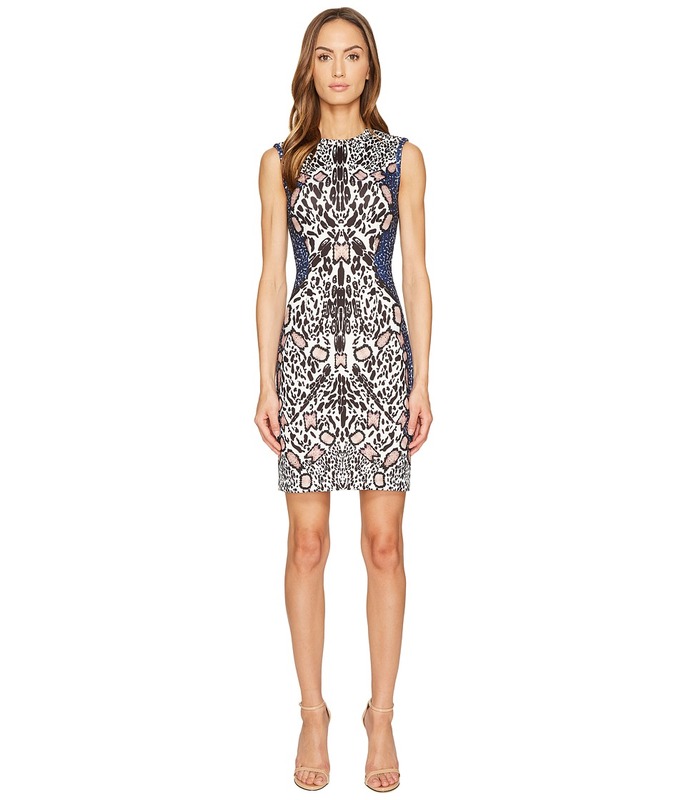 Release your inner fashion beast wearing the YIGAL AZROU&amp#203L Abstract Cheetah Watercolor Print Scuba Dress. Sheath silhouette. Jewel neckline. Sleeveless. Back zip closure. Allover abstract cheetah watercolor print. Straight hemline. 94 percent polyester, 6 percent spandex. Professional dry clean only. Made in the U.S.A. This item may ship with an attached security tag. Merchandise returned without the original security tag attached or a damaged tag may not qualify for a refund. Measurements: Length: 36 in Product measurements were taken using size 2. Please note that measurements may vary by size. 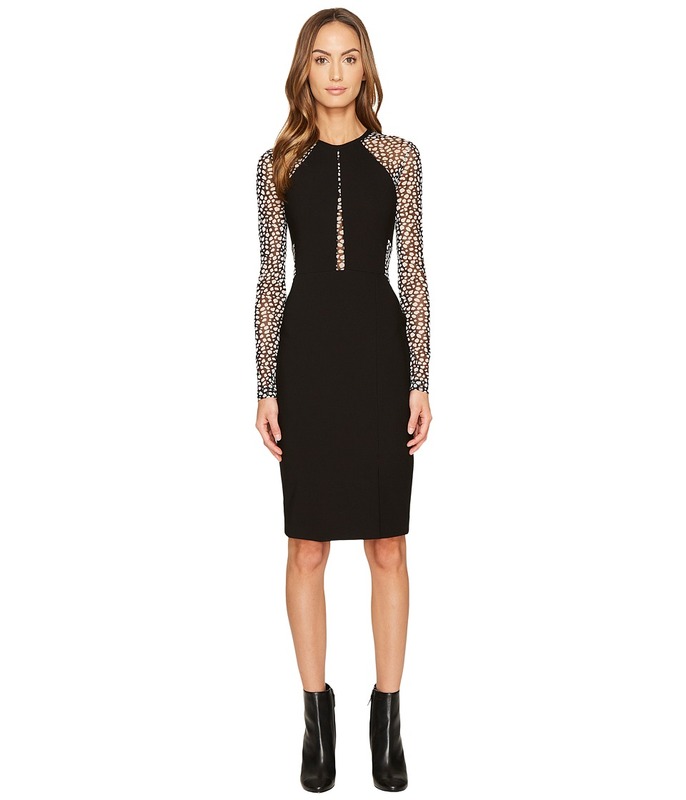 Erect your fashion banner proudly and beautifully wearing the YIGAL AZROU&amp#203L Long Sleeve Mechanical Stretch Dress. Sheath silhouette. Jewel neckline. Long sleeves. Back hook and zip closure. Fitted waist. Sheer print panels at front, sleeves, and back. Front asymmetrical hemline. Straight hemline. 86 percent viscose, 10 percent polyamide, 4 percent elastane. Combo: 100 percent polyester. Lining: 100 percent polyester. Professional dry clean only. Made in the U.S.A. This item may ship with an attached security tag. Merchandise returned without the original security tag attached or a damaged tag may not qualify for a refund. Measurements: Length: 40 in Product measurements were taken using size 2. Please note that measurements may vary by size. 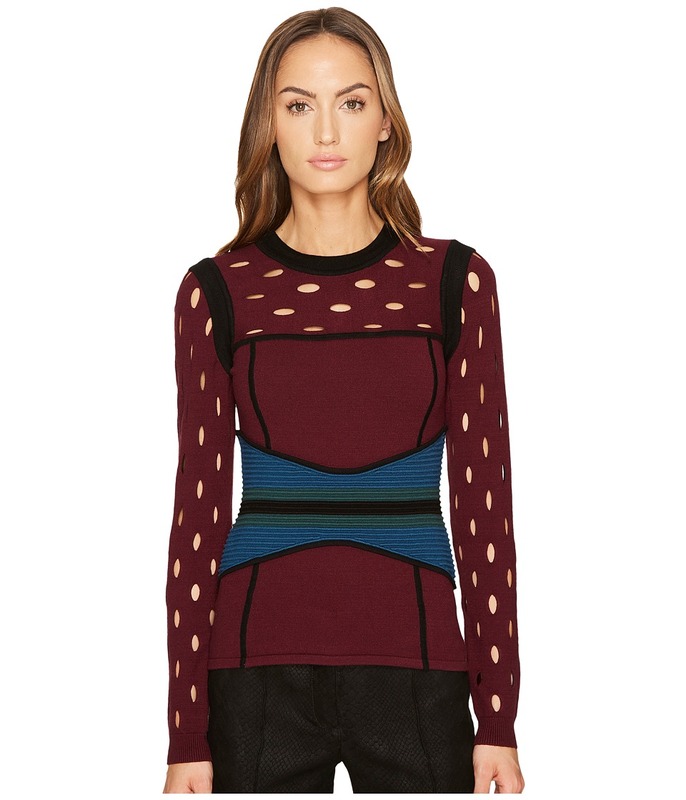 Take a walk on the unique side of life wearing YIGAL AZROU&amp#203L Color Block Pointelle Stitch Bustier Top. Jewel neckline. Long sleeves with circle cutouts. Circular cutouts at chest. Ribbed detail at waist. Pull-on construction. Straight hemline. 72 percent viscose, 28 percent polybutylene terephthalate. Machine wash cold, dry flat. Imported. This item may ship with an attached security tag. Merchandise returned without the original security tag attached or a damaged tag may not qualify for a refund. Measurements: Length: 24 in Product measurements were taken using size SM. Please note that measurements may vary by size. 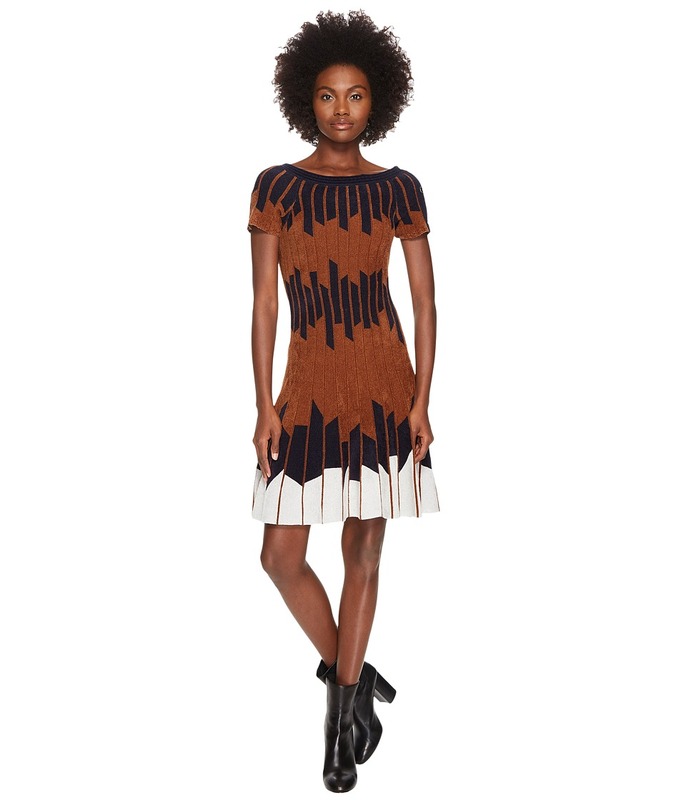 Shape your style into something unique wearing the YIGAL AZROU&amp#203L Geometric Pleated Chennile Dress. Fit and flare silhouette. Bateau neckline. Short sleeves with button closures at left shoulder. Allover geometric print. Flounce hemline. 51 percent nylon, 49 percent viscose. Machine wash cold, dry flat. Imported. This item may ship with an attached security tag. Merchandise returned without the original security tag attached or a damaged tag may not qualify for a refund. Measurements: Length: 37 in Product measurements were taken using size SM. Please note that measurements may vary by size. Effortless style is yours wearing the YIGAL AZROU&amp#203L Pleated Viscose Dress. Sheath silhouette. Jewel neckline. Long sleeves. Front button-up closure. Tree print with contrast solid. Pleated detail. Straight hemline. 72 percent viscose, 28 percent polyester. Combo: 100 percent polyester. Machine wash cold, dry flat. Imported. This item may ship with an attached security tag. Merchandise returned without the original security tag attached or a damaged tag may not qualify for a refund. Measurements: Length: 36 in Product measurements were taken using size SM. Please note that measurements may vary by size. 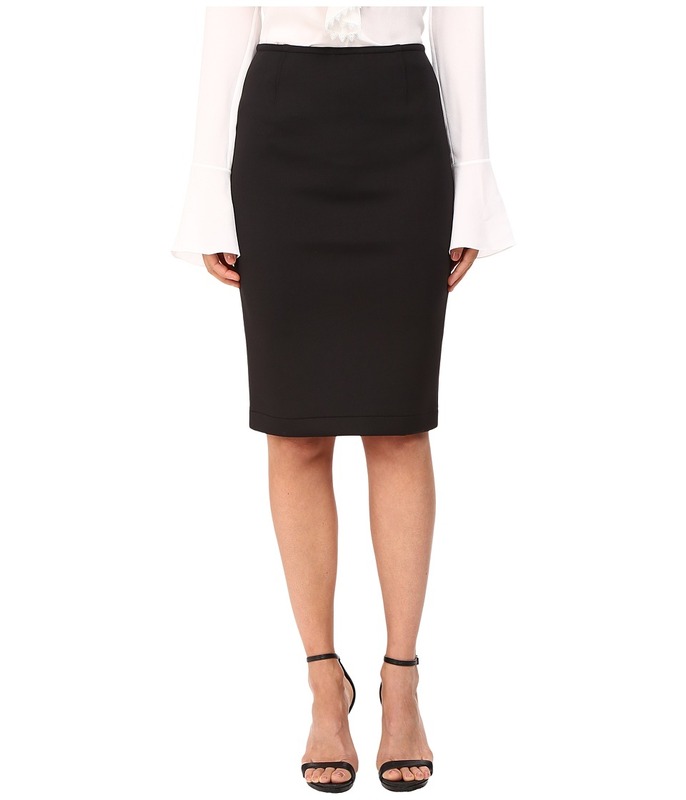 Be captivating all evening wearing the YIGAL AZROU&amp#203L Wool Jersey Ruched Skirt Sheath Dress. Sheath silhouette. Jewel neckline. Long sleeves. Back zip closure. Ruched detail throughout. Straight hemline. 40 percent acrylic, 40 percent wool, 20 percent polyamide. Lining: 100 percent polyester. Professional dry clean only. Made in the U.S.A. This item may ship with an attached security tag. Merchandise returned without the original security tag attached or a damaged tag may not qualify for a refund. Measurements: Length: 41 in Product measurements were taken using size 2. Please note that measurements may vary by size.